Dress up the inside and outside of your home with the unique and contemporary look of sisal; this White Sisal Gift Box Set Of 3 is a great way to get started! Measuring in graduated sizes from 26cm in diameter to 35cm in diameter, this set of three accent pieces is a clever way to evoke the curiosity of all who see them displayed. 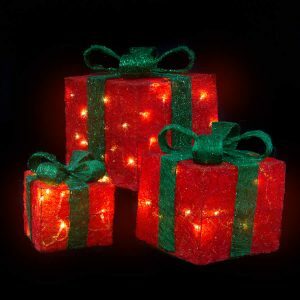 Who wouldn’t want to know what is inside these stunning little Christmas light boxes? Dressed in an ivory facade with a big, beautiful bow of deep red, the colours reflect the traditional hues of the holiday. 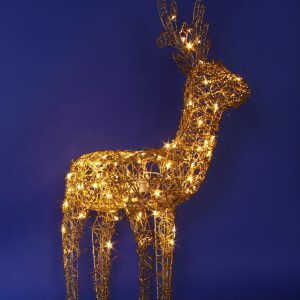 Place these near your tree to accent your wrapped gifts and holiday decor, or perch these on a porch or patio to serve as an inviting gesture to friends and visitors. These are lovely and would be even more attractive when paired with a sisal tree or sisal star, both offered and sold separately. Give your holiday decorations something new with these charming White Sisal Gift Boxes.